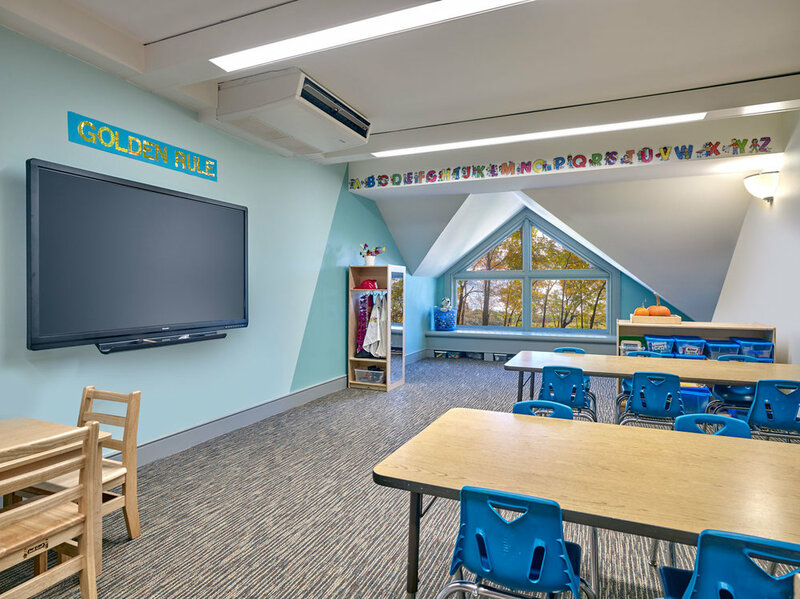 After a thirty year tenure at St David’s Episcopal Church, St. David’s Nursery School and Kindergarten started the September 2017 school year in fresh and modernized classroom space at the Main Line Unitarian Church. Working within existing architectural constraints, twelve classrooms were revitalized to uphold the nurturing environment of the school and inspire children to grow in every aspect of their physical, social, emotional, cognitive and cultural development. Not only was the future success of each child taken into account, the spaces were designed with the teachers in mind. Each classroom meets the functional needs and cleanability for day-to-day educational use, as well as offering new finishes, colors, carpet, furniture, casework and ample storage.